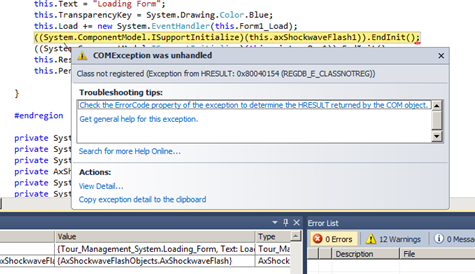 Recently when I tried to build and run an existing .Net application code I got the following error which generated from a component named “axShockwaveFlash1” which is an object used to embed flash content on to the application. After some investigation I found that the reason for this was Flash Player’s incompatibility with 64 bit. Since my machine is running Windows 64 bit version it generates an error while trying to start Flash player. Good thing is Adobe is planning to release a Flash player which supports 64 bit soon. For people who cannot wait until that (like me) can fix the problem in the following manner by running the application as an x86 application by changing the target platform in project properties. Step 1 - Right click on your project and click on the properties. Step 2 - Click on the Build tab and select x86 as the Platform target:. Step 3 - Rebuild the application and run it, you will not get the error. Are you seeking a way to customize the tabcontainer which comes with AJAX toolkit? AJAX tab container has several Cascade Style Sheet (CSS) properties which you can use to change the look of the tab container. But you need to make sure that you are not changing the keywords used in the CSS (ajax__tab_header, ajax__tab_outer, etc…). You can change the look of the tabs by two methods. Tab container is using few images to give the 3D look it is having in its default view. so the first method is by changing the images and associating the new images to the tab container using a style sheet, second method is to change the tabs using the CSS without images, by using the CSS you can change the colors, sizes etc of the tabs. Following are the default images that are shipped with the toolkit. In the following code I am changing the tabcontainer look by using CSS and then placing the updated images to the relevant (Images/Controls) folder. To apply the style to the tab container you can use the following code. Following is the full code of my tab container. Recently we went a trip to an aquarium which is located at Kelaniya Sri Lanka. They have named it Water World and claims that they have the largest collection of fish in South Asia. Mainly they have 2 sections one for birds and the other for fish. If you are going to watch bird park then you need to buy a ticket of Srilankan rupees 70, if you are going for the fish section then the ticket would be 150 Srilankan rupees. You can also contact them if required by using the telephone number +94 11 5555433. Following are some photos I took on my visit and as I feel they have some rare species on display. To help the people who whould like to visit Water World I thought to share their new phone number with the address. 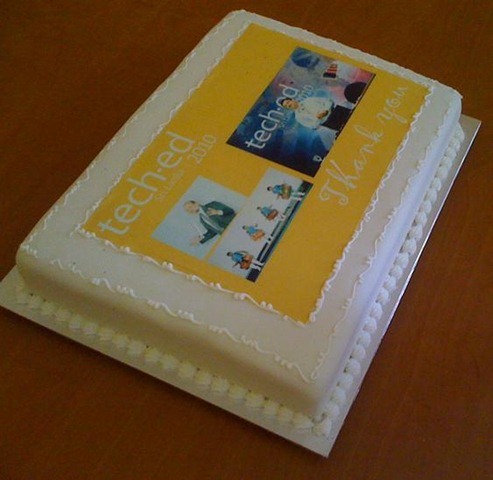 In February 2010 Microsoft held Tech-Ed 2010 and we (IronOne) were the silver sponsors for the event. 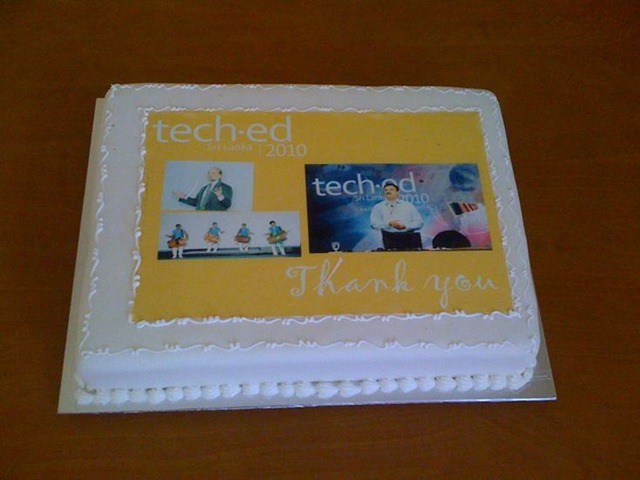 It was a good event which attracted many of my friends which I didn’t meet for a long time. 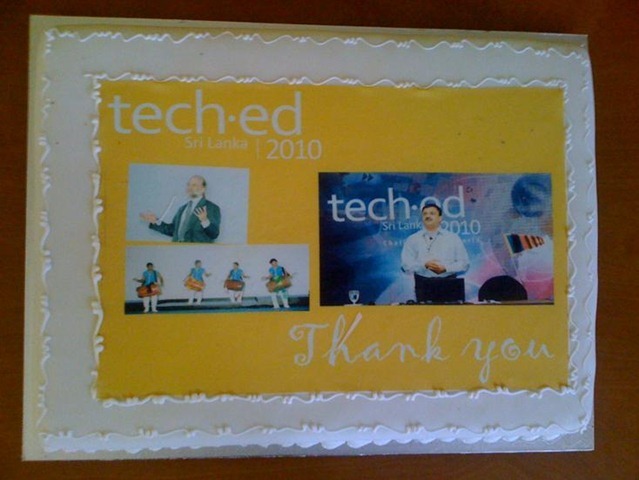 In appreciation to the sponsorship Microsoft sent us a thank you cake as well. 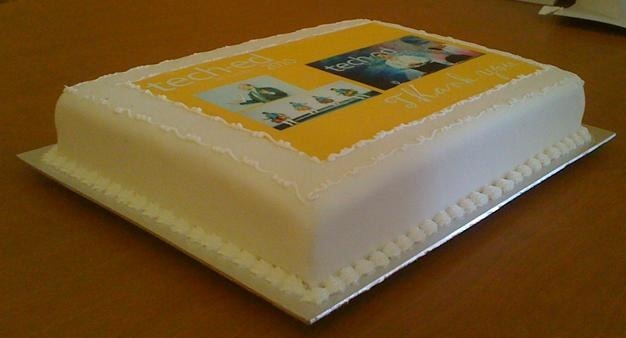 Looks delicious right? As you might know the new Skype allows us to share our desktop to another contact by only using Skype. Best things are it is free and we can share through internet. But this has a limitation which is you cannot share the screen with multiple contacts. To overcome this I happen to find this nice Skype add-on named InnerPass Share and Collaborate which enable us to share our desktop with many people at once freely. To get it installed go to Skype Extras Manager by clicking Tools –> Extras –> Get Extras. Type InnerPass on the top left search box and press search. Then on the left search results select the InnerPass Share and Collaborate add-on and install. After installing you can launch InnerPass by clicking Tools –> Extras –> InnerPass Share and Collaborate. This will bring you a screen similar to the following. You can click Get Started button to create your free InnerPass account and start using the features offered by InnerPass. Add contacts from other sources like Yahoo, Gmail, etc. I found that with the flood of new possibilities with DevExpress grid view a simple functionality of selecting one row is bit hidden. After doing bit of searching in the internet I found the way and thought to share it. The way we need to do this is by using a java script and bind that in to the RowClick event of the grid. The java script will look like the following. Then the binding to the RowClick would be as below. The outcome of this is a grid which you can select a row. The value of the selected row can be taken as below. For example in my application I used to pass the Customer Id to the Customer.aspx form as below. The full source is as of below. <dx:ASPxGridView ID="dxgdSearch" ClientInstanceName="dxgdSearch" runat="server" AutoGenerateColumns="False"
If you are a iPhone lover then your next dream is in stores. 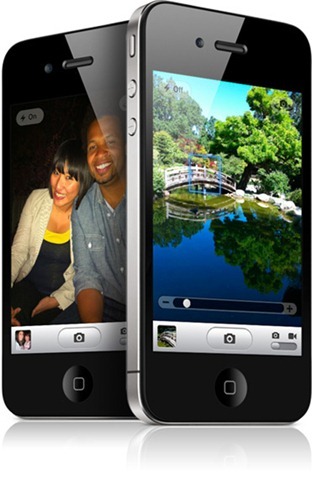 Apple had released iPhone 4 with many improvements. Go and have look into it at Apple. Recently a set of developers who are working in one of my projects started getting an error while trying to debug the web application under development using ASP.Net. The targeted framework was .Net 4.0 and they were using Visual Studio 2010 in 64bit machines. The problem was whenever they tried to run/debug the application they gets an error saying unable to start debugging on the web server even though there are no compile errors as shown below. 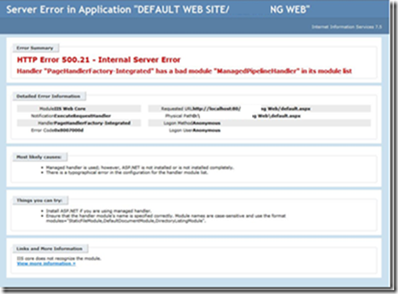 It gave an error HTTP Error 500.21 - Internal Server Error Handler "PageHandlerFactory-Integrated" has a bad module "ManagedPipelineHandler" in its module list when ran direct from IIS. The error page is shown below. Later I found the reason for this is ASP.Net 4 was not properly installed on the machine. To fix this get an administrative privileged command prompt. This will register ASP.Net 4.0 in your machine, the -ir option will keep the existing applications unchanged. If you want them to be changed to use the new version use -i instead -ir. When the installer ends type iisreset to restart the IIS service. Now your applications will work fine without any complains. Normally when you install Hyper-V role in your server, it will disable sleep and hibernate facilities provided by Windows. But you can avoid this by doing some alterations to Windows. Hibernate and seep features are disabled when the Hyper-V service is started, so you can regain hibernate and sleep by changing the start parameter of the Hyper-V service (hvboot). 1. Open the registry editor by typing “regedit” in the run window. HKEY_LOCAL_MACHINE\SYSTEM\CurrentControlSet\Services\hvboot and then set the start value of it to 3. Start property can hold the following values. Now you will have the hibernate and sleep facilities until you start the Hyper-V services in your machine. 2. Type the following command in a command prompt window with administrative rights. Note that there needs to be a space between the = sign and the word demand. Some server versions of Windows are having the hibernate feature disabled by default. So if you need to change the hibernation do the following simple steps. 1. Click start and type “cmd” or type command in the search box. 2. Then in the search results, right click the Command Prompt and click on Run as Administrator. 3. If you are prompted by the user account control click continue. 5. Lastly you can exit the command prompt by typing “exit”. Sometimes you might get an error similar to the following while trying to enable hibernation. Hibernation failed with the following error: The request is not supported. The following items are preventing hibernation on this system. An internal system component has disabled hibernation. This means your machine is running roles or services that are disabling hibernation feature. One such a role is Hyper-V. If your version of Windows 2008 is running Hyper-V then you cannot enable hibernation. This is not an error but is deliberately done since hibernating a server running virtual machines is a very complicated and rarely requiring service in an enterprise server. But there is a way to enable hibernation on a Hyper-V installed machine, which you will be able to find in my next article.